There's No Party Quite Like an Oscars Party, See The Best Looks Here! Just when we thought the 2017 Oscars gave us all the killer fashion, inspirational quotes and memorable moments we could imagine, the parties begin! See who hit the town after the biggest night in Hollywood. Ruth Negga is dressed to impress at the 2017 Vanity Fair Oscar Party hosted by Graydon Carter at Wallis Annenberg Center for the Performing Arts in Beverly Hills. Ciara is dressed to impress at the 2017 Vanity Fair Oscar Party hosted by Graydon Carter at Wallis Annenberg Center for the Performing Arts in Beverly Hills. Tessa Thompson is dressed to impress at the 2017 Vanity Fair Oscar Party hosted by Graydon Carter at Wallis Annenberg Center for the Performing Arts in Beverly Hills. Mariah Carey is dressed to impress at the 2017 Vanity Fair Oscar Party hosted by Graydon Carter at Wallis Annenberg Center for the Performing Arts in Beverly Hills. 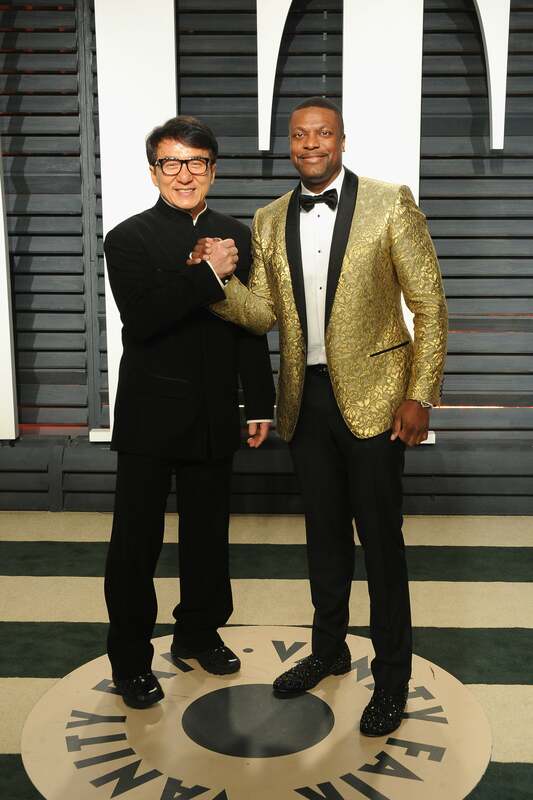 Jackie Chan and Chris Tucker are dressed to impress at the 2017 Vanity Fair Oscar Party hosted by Graydon Carter at Wallis Annenberg Center for the Performing Arts in Beverly Hills. 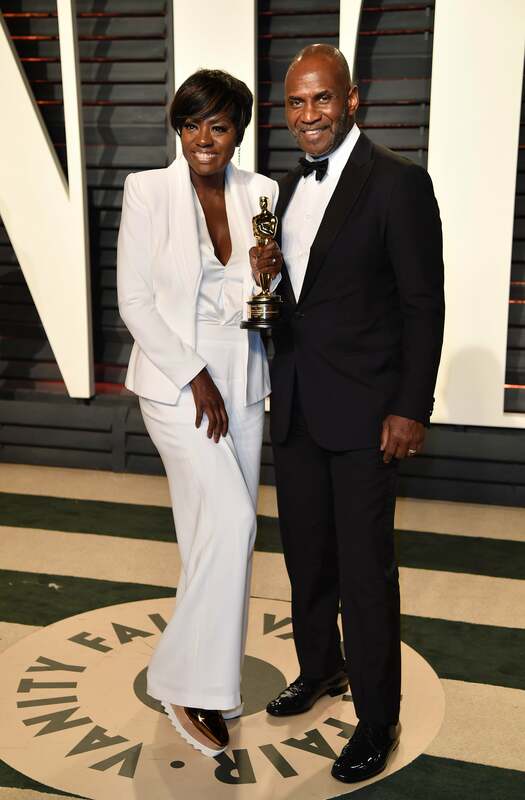 Viola Davis and Julius Tennon are dressed to impress at the 2017 Vanity Fair Oscar Party hosted by Graydon Carter at Wallis Annenberg Center for the Performing Arts in Beverly Hills. 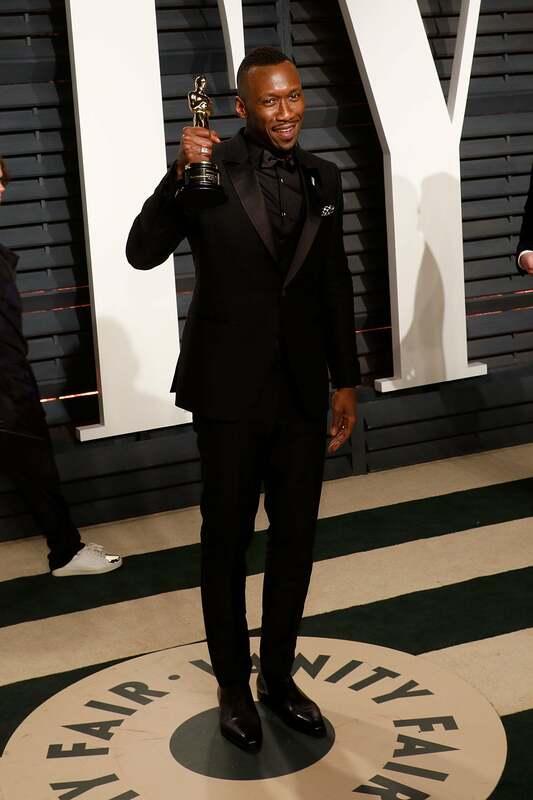 Mahershala Ali is dressed to impress at the 2017 Vanity Fair Oscar Party hosted by Graydon Carter at Wallis Annenberg Center for the Performing Arts in Beverly Hills. Terrence Howard and Mira Pak are dressed to impress at the 2017 Vanity Fair Oscar Party hosted by Graydon Carter at Wallis Annenberg Center for the Performing Arts in Beverly Hills. Kat Graham is dressed to impress at the 2017 Vanity Fair Oscar Party hosted by Graydon Carter at Wallis Annenberg Center for the Performing Arts in Beverly Hills. Gabrielle Union is dressed to impress at the 2017 Vanity Fair Oscar Party hosted by Graydon Carter at Wallis Annenberg Center for the Performing Arts in Beverly Hills. Janelle Monae is dressed to impress at the 2017 Vanity Fair Oscar Party hosted by Graydon Carter at Wallis Annenberg Center for the Performing Arts in Beverly Hills. Zoe Kravitz is dressed to impress at the 2017 Vanity Fair Oscar Party hosted by Graydon Carter at Wallis Annenberg Center for the Performing Arts in Beverly Hills. Jurnee Smollett-Bell is dressed to impress at the 2017 Vanity Fair Oscar Party hosted by Graydon Carter at Wallis Annenberg Center for the Performing Arts in Beverly Hills. Hannah Bronfman is dressed to impress at the 2017 Vanity Fair Oscar Party hosted by Graydon Carter at Wallis Annenberg Center for the Performing Arts in Beverly Hills. 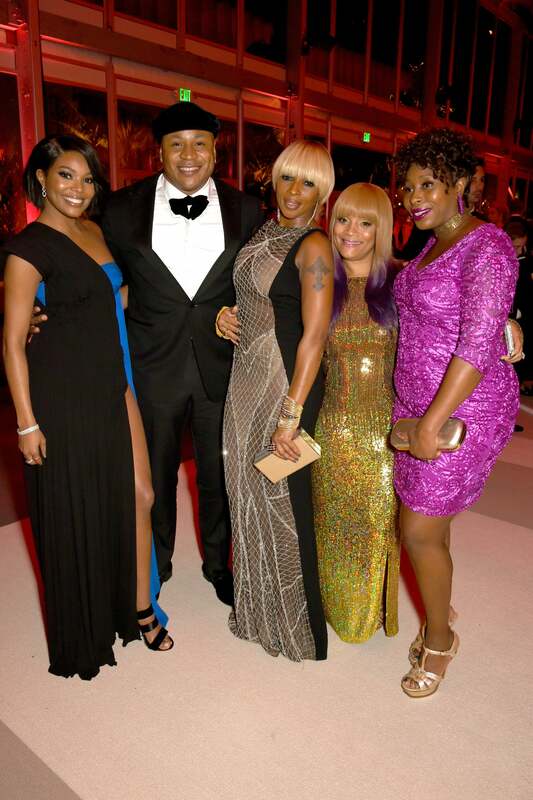 Gabrielle Union, rapper LL Cool J, singer Mary J. Blige and Simone Smith are dressed to impress at the 2017 Vanity Fair Oscar Party hosted by Graydon Carter at Wallis Annenberg Center for the Performing Arts in Beverly Hills. Chanel Iman is dressed to impress at the 2017 Vanity Fair Oscar Party hosted by Graydon Carter at Wallis Annenberg Center for the Performing Arts in Beverly Hills. 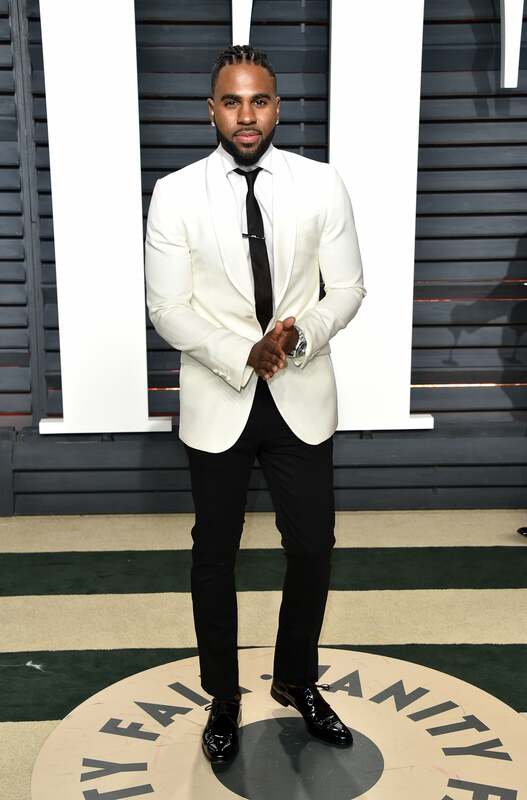 Jason Derulo is dressed to impress at the 2017 Vanity Fair Oscar Party hosted by Graydon Carter at Wallis Annenberg Center for the Performing Arts in Beverly Hills. Naomie Harris is dressed to impress at the 2017 Vanity Fair Oscar Party hosted by Graydon Carter at Wallis Annenberg Center for the Performing Arts in Beverly Hills. Gabby Douglas is dressed to impress at the 2017 Vanity Fair Oscar Party hosted by Graydon Carter at Wallis Annenberg Center for the Performing Arts in Beverly Hills. 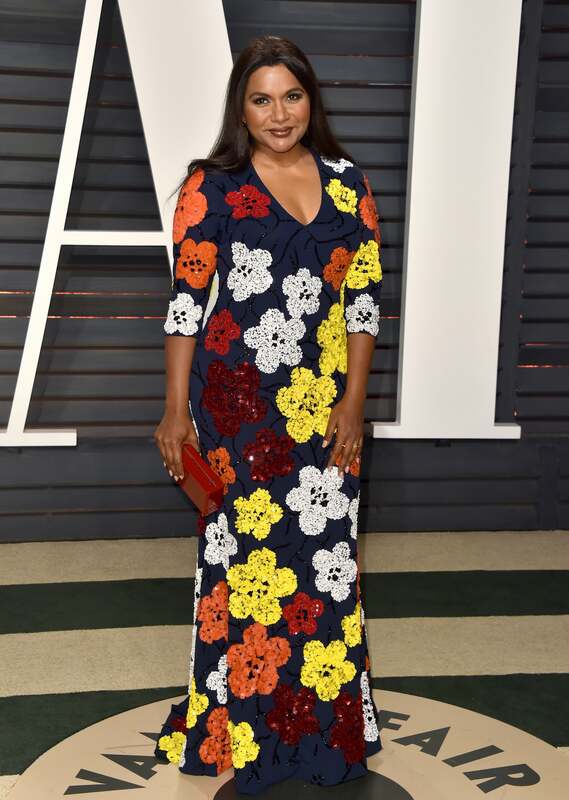 Mindy Kaling is dressed to impress at the 2017 Vanity Fair Oscar Party hosted by Graydon Carter at Wallis Annenberg Center for the Performing Arts in Beverly Hills. Rashida Jones is dressed to impress at the 2017 Vanity Fair Oscar Party hosted by Graydon Carter at Wallis Annenberg Center for the Performing Arts in Beverly Hills. Tracee Ellis Ross is dressed to impress at the 2017 Vanity Fair Oscar Party hosted by Graydon Carter at Wallis Annenberg Center for the Performing Arts in Beverly Hills. Mary J. Blige is dressed to impress at the 2017 Vanity Fair Oscar Party hosted by Graydon Carter at Wallis Annenberg Center for the Performing Arts in Beverly Hills. 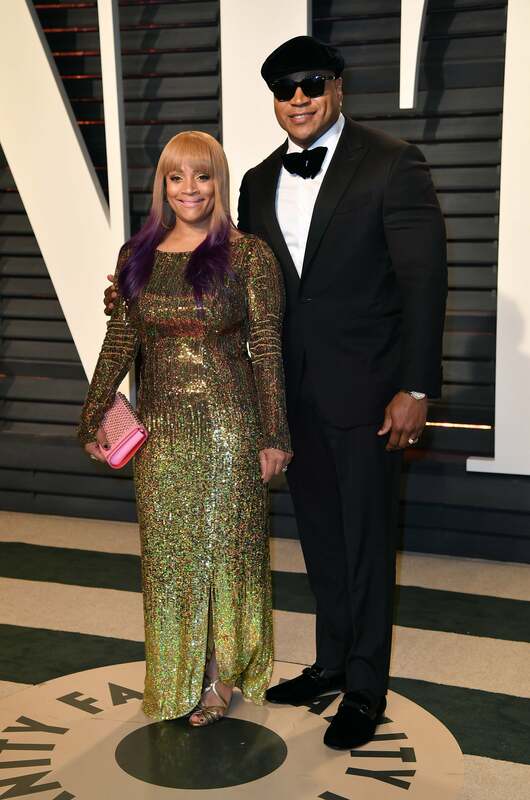 Simone Smith and LL Cool J is dressed to impress at the 2017 Vanity Fair Oscar Party hosted by Graydon Carter at Wallis Annenberg Center for the Performing Arts in Beverly Hills. 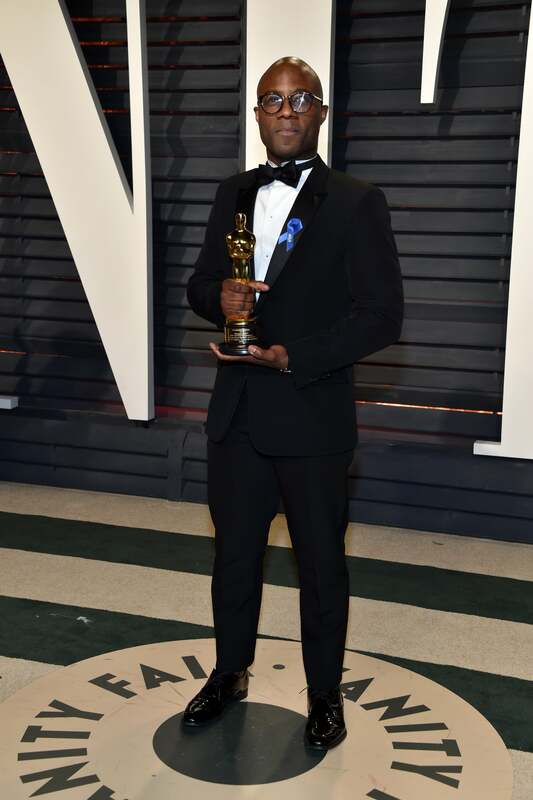 Barry Jenkins is dressed to impress at the 2017 Vanity Fair Oscar Party hosted by Graydon Carter at Wallis Annenberg Center for the Performing Arts in Beverly Hills. Thandie Newton is dressed to impress at the 2017 Vanity Fair Oscar Party hosted by Graydon Carter at Wallis Annenberg Center for the Performing Arts in Beverly Hills. Lee Daniels is dressed to impress at the 2017 Vanity Fair Oscar Party hosted by Graydon Carter at Wallis Annenberg Center for the Performing Arts in Beverly Hills. Kerry Washington is dressed to impress at the 2017 Vanity Fair Oscar Party hosted by Graydon Carter at Wallis Annenberg Center for the Performing Arts in Beverly Hills. Jasmine Tookes is dressed to impress at the 2017 Vanity Fair Oscar Party hosted by Graydon Carter at Wallis Annenberg Center for the Performing Arts in Beverly Hills. 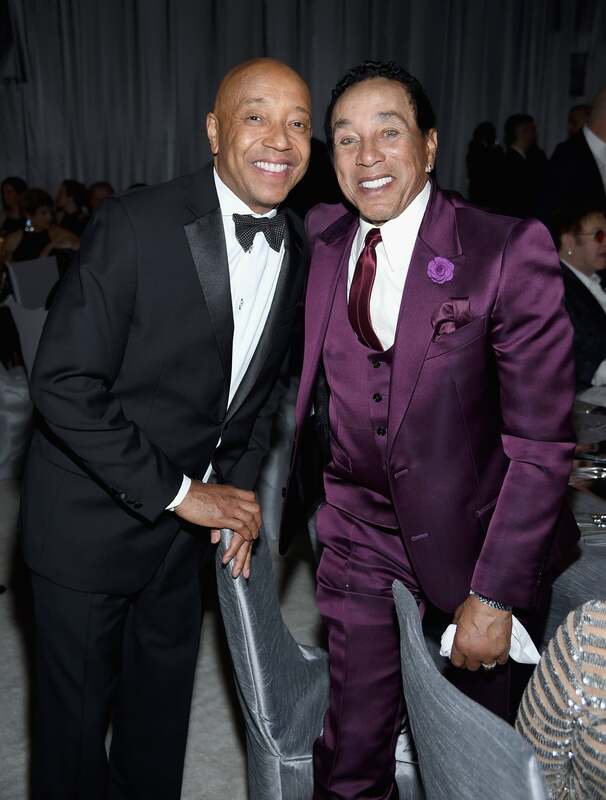 Russell Simmons and Smokey Robinson enjoy the Oscars in an elegant setting at the 25th Annual Elton John AIDS Foundation's Academy Awards Viewing Party at The City of West Hollywood Park. Leona Lewis enjoys the Oscars in an elegant setting at the 25th Annual Elton John AIDS Foundation's Academy Awards Viewing Party at The City of West Hollywood Park. 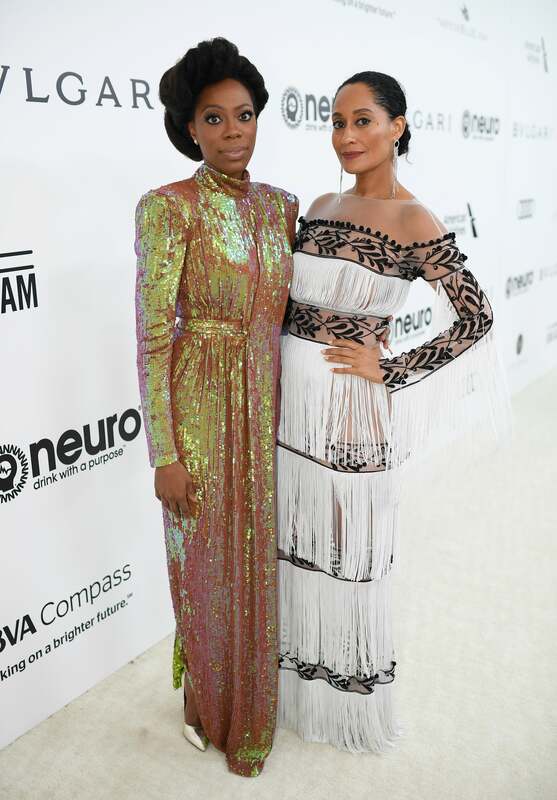 Yvonne Orji and Tracee Ellis Ross enjoy the Oscars in an elegant setting at the 25th Annual Elton John AIDS Foundation's Academy Awards Viewing Party at The City of West Hollywood Park. Yvonne Orji enjoys the Oscars in an elegant setting at the 25th Annual Elton John AIDS Foundation's Academy Awards Viewing Party at The City of West Hollywood Park. Smokey Robinson and Frances Robinson enjoys the Oscars in an elegant setting at the 25th Annual Elton John AIDS Foundation's Academy Awards Viewing Party at The City of West Hollywood Park. Big Sean and Jhene Aiko enjoys the Oscars in an elegant setting at the 25th Annual Elton John AIDS Foundation's Academy Awards Viewing Party at The City of West Hollywood Park. 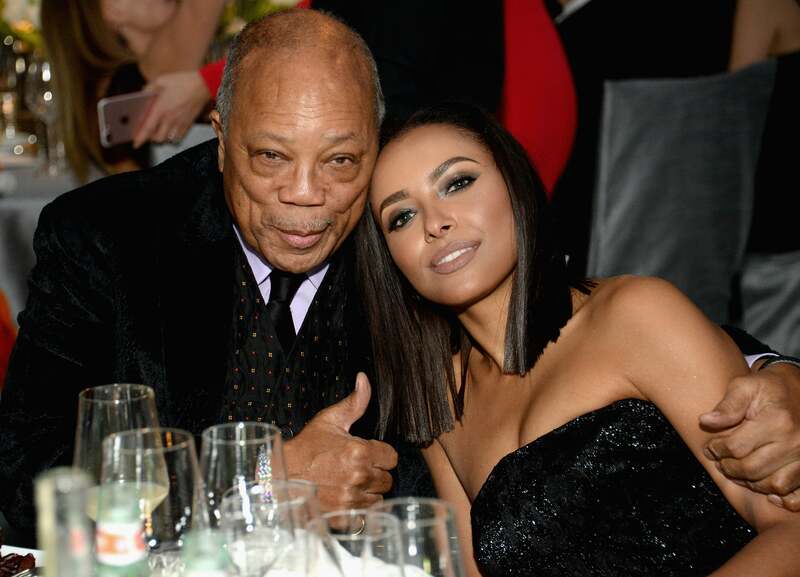 Quincy Jones and Kat Graham enjoys the Oscars in an elegant setting at the 25th Annual Elton John AIDS Foundation's Academy Awards Viewing Party at The City of West Hollywood Park. Amber Stevens West enjoys the Oscars in an elegant setting at the 25th Annual Elton John AIDS Foundation's Academy Awards Viewing Party at The City of West Hollywood Park. Aldis Hodge enjoys the Oscars in an elegant setting at the 25th Annual Elton John AIDS Foundation's Academy Awards Viewing Party at The City of West Hollywood Park. Dewanda Wise enjoys the Oscars in an elegant setting at the 25th Annual Elton John AIDS Foundation's Academy Awards Viewing Party at The City of West Hollywood Park. Garcelle Beauvais enjoys the Oscars in an elegant setting at the 25th Annual Elton John AIDS Foundation's Academy Awards Viewing Party at The City of West Hollywood Park. Shanina Shaik enjoys the Oscars in an elegant setting at the 25th Annual Elton John AIDS Foundation's Academy Awards Viewing Party at The City of West Hollywood Park. Adina Porter enjoys the Oscars in an elegant setting at the 25th Annual Elton John AIDS Foundation's Academy Awards Viewing Party at The City of West Hollywood Park. Jasmine Tookes enjoys the Oscars in an elegant setting at the 25th Annual Elton John AIDS Foundation's Academy Awards Viewing Party at The City of West Hollywood Park. Freida Pinto enjoys the Oscars in an elegant setting at the 25th Annual Elton John AIDS Foundation's Academy Awards Viewing Party at The City of West Hollywood Park. Tracee Ellis Ross enjoys the Oscars in an elegant setting at the 25th Annual Elton John AIDS Foundation's Academy Awards Viewing Party at The City of West Hollywood Park. Laverne Cox enjoys the Oscars in an elegant setting at the 25th Annual Elton John AIDS Foundation's Academy Awards Viewing Party at The City of West Hollywood Park. Kandi Burruss enjoys the Oscars in an elegant setting at the 25th Annual Elton John AIDS Foundation's Academy Awards Viewing Party at The City of West Hollywood Park. Kat Graham enjoys the Oscars in an elegant setting at the 25th Annual Elton John AIDS Foundation's Academy Awards Viewing Party at The City of West Hollywood Park. 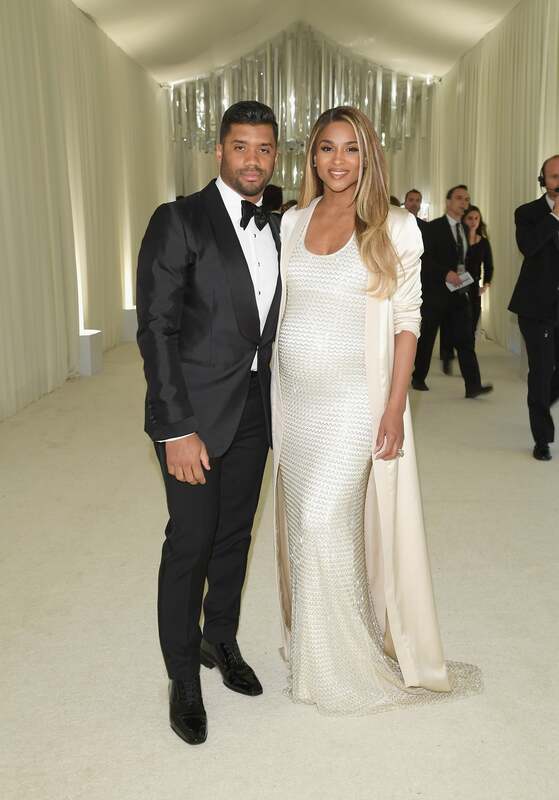 Russell Wilson and Ciara enjoy the Oscars in an elegant setting at the 25th Annual Elton John AIDS Foundation's Academy Awards Viewing Party at The City of West Hollywood Park. Gabby Douglas enjoys the Oscars in an elegant setting at the 25th Annual Elton John AIDS Foundation's Academy Awards Viewing Party at The City of West Hollywood Park. Sherri Saum arrives in style during the Mercedes-Benz x ICON MANN 2017 Academy Awards Viewing Party at Four Seasons Hotel Los Angeles. J. Alexander arrives in style during the Mercedes-Benz x ICON MANN 2017 Academy Awards Viewing Party at Four Seasons Hotel Los Angeles. Kandi Burruss arrives in style during the Mercedes-Benz x ICON MANN 2017 Academy Awards Viewing Party at Four Seasons Hotel Los Angeles. Keesha Sharp arrives in style during the Mercedes-Benz x ICON MANN 2017 Academy Awards Viewing Party at Four Seasons Hotel Los Angeles. Lorraine Toussain arrives in style during the Mercedes-Benz x ICON MANN 2017 Academy Awards Viewing Party at Four Seasons Hotel Los Angeles. Amirah Vann arrives in style during the Mercedes-Benz x ICON MANN 2017 Academy Awards Viewing Party at Four Seasons Hotel Los Angeles. Tracee Ellis Ross arrives in style during the Mercedes-Benz x ICON MANN 2017 Academy Awards Viewing Party at Four Seasons Hotel Los Angeles. Anika Noni Rose arrives in style during the Mercedes-Benz x ICON MANN 2017 Academy Awards Viewing Party at Four Seasons Hotel Los Angeles. Adrienne Bailon arrives in style during the Mercedes-Benz x ICON MANN 2017 Academy Awards Viewing Party at Four Seasons Hotel Los Angeles. 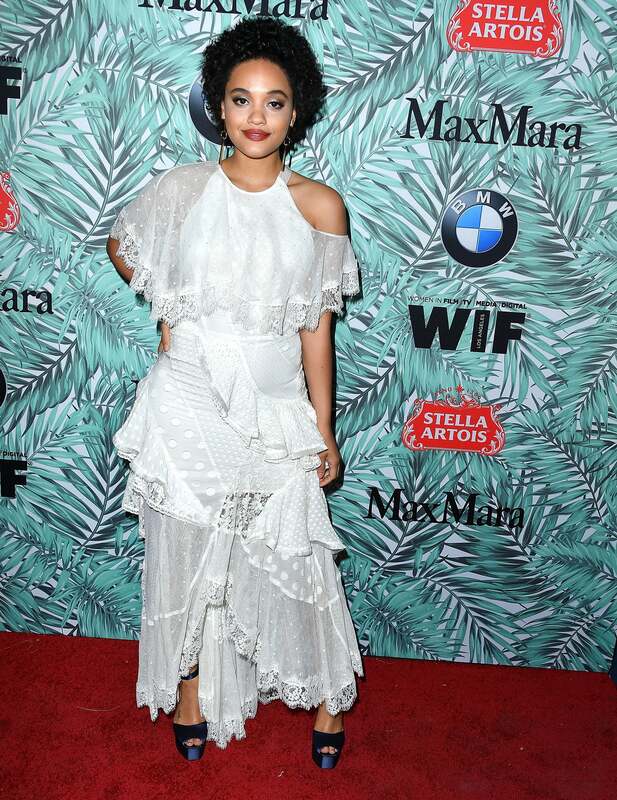 Kiersey Clemons is spotted at the 10th Annual Women In Film Pre-Oscar Cocktail Party presented by Max Mara and BMW at Nightingale Plaza in Los Angeles. Viola Davis is spotted at the 10th Annual Women In Film Pre-Oscar Cocktail Party presented by Max Mara and BMW at Nightingale Plaza in Los Angeles. Zoe Kravitz is spotted at the 10th Annual Women In Film Pre-Oscar Cocktail Party presented by Max Mara and BMW at Nightingale Plaza in Los Angeles. 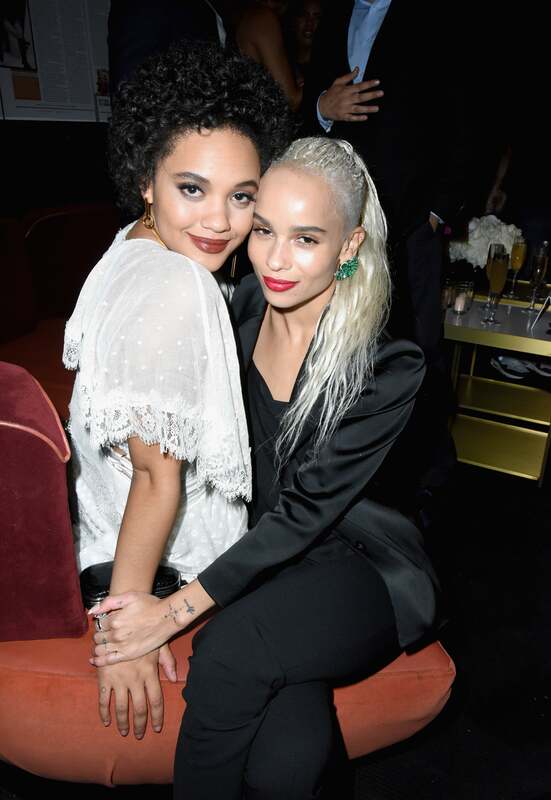 Kiersey Clemons and Zoe Kravitz are spotted at the 10th Annual Women In Film Pre-Oscar Cocktail Party presented by Max Mara and BMW at Nightingale Plaza in Los Angeles. 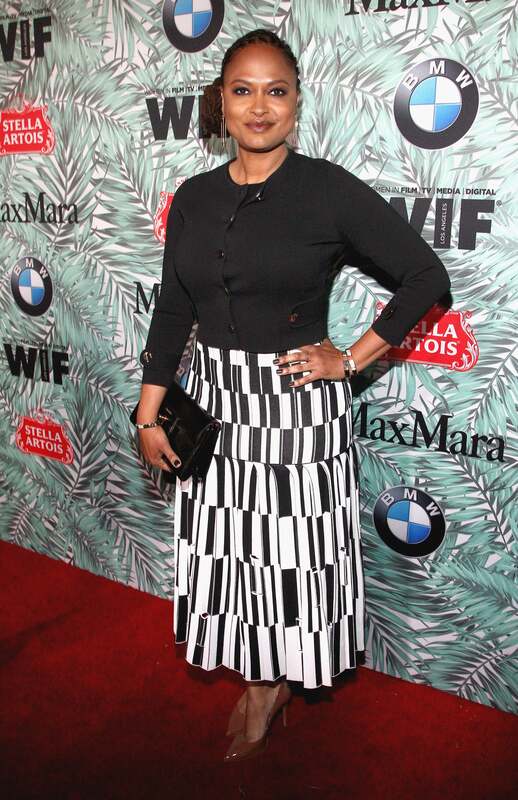 Ava Duvernay is spotted at the 10th Annual Women In Film Pre-Oscar Cocktail Party presented by Max Mara and BMW at Nightingale Plaza in Los Angeles. Priyanka Bose is spotted at the 10th Annual Women In Film Pre-Oscar Cocktail Party presented by Max Mara and BMW at Nightingale Plaza in Los Angeles. Anika Noni Rose is spotted at the 10th Annual Women In Film Pre-Oscar Cocktail Party presented by Max Mara and BMW at Nightingale Plaza in Los Angeles. Jurnee Smollett-Bell is spotted at the 10th Annual Women In Film Pre-Oscar Cocktail Party presented by Max Mara and BMW at Nightingale Plaza in Los Angeles. Gabrielle Union is spotted at the 10th Annual Women In Film Pre-Oscar Cocktail Party presented by Max Mara and BMW at Nightingale Plaza in Los Angeles. Keesha Sharp is spotted at the 10th Annual Women In Film Pre-Oscar Cocktail Party presented by Max Mara and BMW at Nightingale Plaza in Los Angeles. Amirah Vann is spotted at the 10th Annual Women In Film Pre-Oscar Cocktail Party presented by Max Mara and BMW at Nightingale Plaza in Los Angeles. 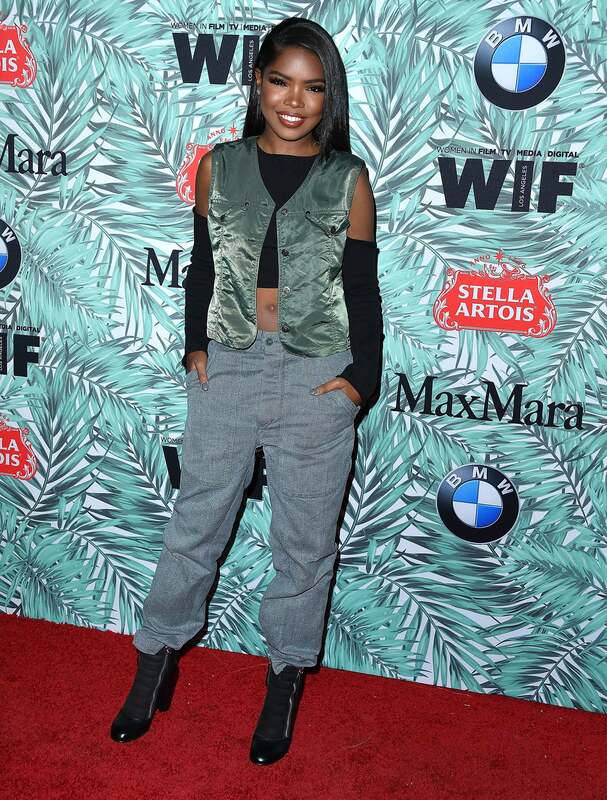 Ryan Destiny is spotted at the 10th Annual Women In Film Pre-Oscar Cocktail Party presented by Max Mara and BMW at Nightingale Plaza in Los Angeles.